Pullman Hefei Wanda features 404 luxurious guest rooms and suites with thoughtful facilities which are HUI architectural designed. It's strategically located 20 minutes from Hefei South Railway Station, 30 minutes from downtown and 30 minutes from Hefei Gaoxin District. Experience the energy of the city as well as tranquilizing nature, cutting-edge technologies, tempting dining options, perfect for business and leisure guests. 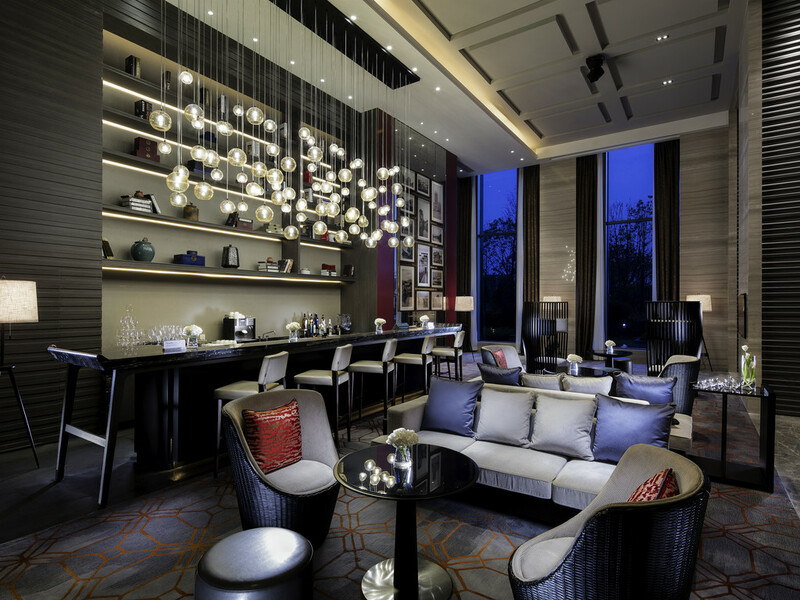 Pullman Hefei Wanda is Hui style architecture, 20 minutes to Hefei South railway station. Beside of theme park,shopping mall,with its excellent business facilities, landscaped gardens and private beach, it is perfect for business and leisure travellers. Preserving the essence of authentic Anhui cuisine to emphasize the natural flavor of the food through sophisticated cooking, Hui Restaurant promises an unrivaled Chinese fine dining experience. The restaurant features a selection of Western, Asian and Japanese cuisine in a relaxing ambience, which features a lakeside view. The Music Bar features signature cocktails, refreshing beers and light snacks. Enjoy our live music, while taking in the magnificent garden view.